Exquisite Porter Court townhome in the Prestigious Truman Annex gated community. Highest quality finishes including bamboo floors, vaulted ceilings. Isolated master bedroom on second floor. Enjoy the bright windows and doors of this terrific and highly coveted end unit. Private front porch and large wrap-around deck in the back yard. Large pool shared by only 19 units. An elegant residence for the discerning buyer. 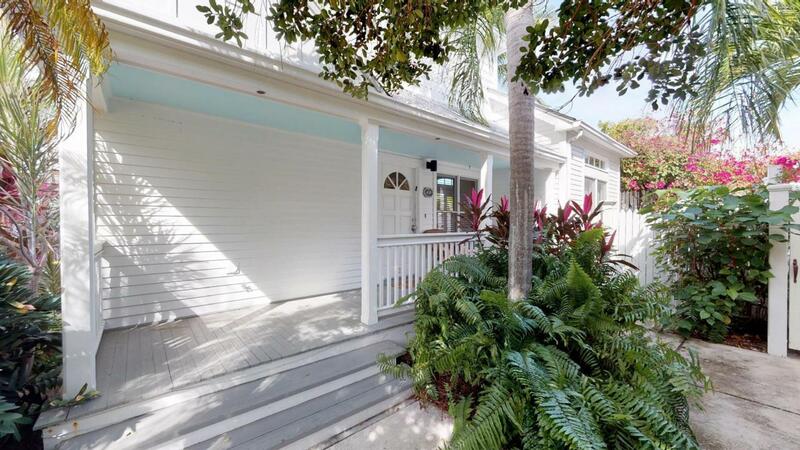 The best of Key West Living in the Heart of Old Town Key West. Near beaches, Mallory square, restaurants and playhouses. 28 day minimum rental allowed. Listing courtesy of Daniel E Skahen of Preferred Properties (Kw).